Jobu weighs in on some interesting moves the Knicks have made so far this off-season. I know we rarely cover basketball here at Jobu’s Rum (still looking for a basketball person if anyone is interested), but the Knicks are my local team, so I figured I’d show them a little love… well, some attention anyway. It’s off-seasons like these that make me glad I am not a Knicks fan, because I wouldn’t really know how to feel about what the Knicks have done so far. The two biggest acquisitions the Knicks have made were the signing of Jason Kidd, and the sign-and-trade deal they made with Houston for Marcus Camby. These two amazing moves are have surely put in place the final pieces the Knicks required to become a championship caliber team! That’s what I would have said in 2005, when these two guys were in their primes. In 2012, when they’re both much closer to 40 than 30, it’s not as exciting, but it still could really help this team. 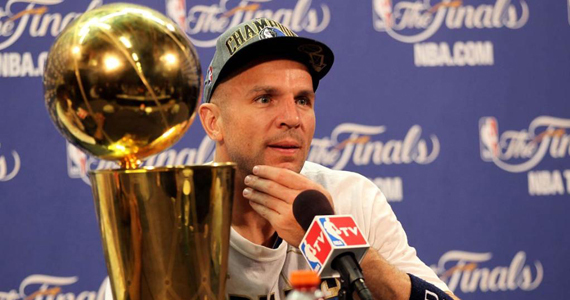 Kidd, who is probably a Hall of Famer at this point and was one of the best point guards of the 2000s, is now 39 years old (he’ll be 40 before the 2012-13 season ends). He’s coming off of what was probably his worst season in professional basketball. Let’s keep in mind that this was a strike-shortened, 66 game season, but that doesn’t really help Kidd’s numbers look any better. The Oakland native played in only 48 of the Mavs games, missing time with several injuries, and put up career-low averages in minutes played (28.7), points (6.2) and assists (5.5). Those are not good numbers for anyone, and it’s not a good sign when a 40-year old player has that kind of fall off. I don’t totally hate the move for the Knicks though. As I said, Kidd has probably put together a Hall of Fame career to this point. He’s also not expected to start for the Knicks, or put them on his back on a quest for glory. The Knicks have a very good point guard already (or at least they will, when they match the offer the Rockets made to Jeremy Lin). When I originally wrote this piece late last week, I was going to propose Kidd as the perfect compliment to Jeremy Lin. Who better to teach Lin how to be an NBA point guard than a future HOFer? When the Knicks traded for Raymond Felton over the weekend***, it became apparent that Lin would not be back to be mentored by Kidd. We will have more on that situation all the dust settles, but let’s keep focused on Kidd for now. I am a little concerned about the length of this contract (three years), but if he can put together two solid years backing up for New York, that will be good enough. The Camby deal is a little more perplexing for me, although it makes a lot of sense in some ways as well. Right off the bat though, I’ll say that I think the Knicks gave up too much in this deal. They gave up Josh Harrelson, Toney Douglas, Jerome Jordan and two future second round draft picks. I’m not saying these are game-changing players or anything (I’m curious as to how many of them will actually be on the Rockets this season), but three players and two draft-picks for a 38-year old center with a history of brittle bones and loose tendons? I know they’re just second rounders, but you can get some solid role players in that round. To top it all off, the Knicks are even covering Toney Douglas’ salary! Really? couldn’t squeeze that out of them, Glen Grunwold? Anyway, Camby, who played for the Knicks from 1998-2002 (never managing to stay healthy enough to play more than 63 games in a season), once helped lead this team to the NBA finals as an 8th seed. I guess the Knicks’ front office is hoping that, at age 38, he can do it again. 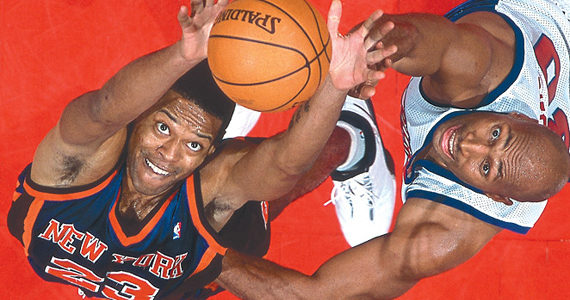 Even at his advanced age, Camby is one of the better defensive big men in the NBA. He can still use his long arms to swat plenty of shots out of the air, and pull down a lot of tough rebounds. In 59 games last year for Portland and then Houston, Camby put up the numbers he’s been putting up the past few years, averaging 22.9 minutes, 4.9 points (7.1 in Houston), 9 rebounds and 1.4 blocks. That’s not bad at all for just under half a game. 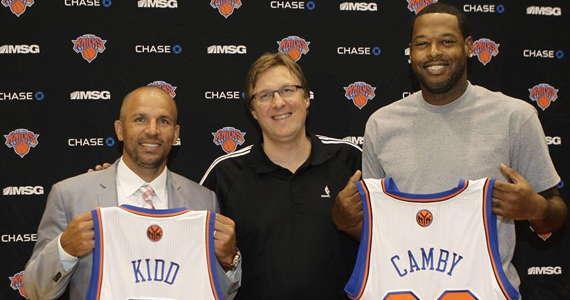 On the Knicks, Camby will serve a similar role to that of Jason Kidd. He will be there to back up the current big men (Tyson Chandler and Amar’e Stoudemire) and maybe teach them a thing or two about defense and longevity. Although those guys are veterans in their own right, and Chandler is one of the better defensive players in the league, you can never get enough experience or knowledge. At the very least, Camby will help keep these two guys fresher throughout each game and over the course of the season. Like I said throughout this post. These guys are not here to put the Knicks on their liver-spotted backs for the championship run. They’re here because they’re solid veterans who can help off the bench and teach the younger Knicks a lot about what it takes to win (Camby was in the finals with the Knicks, and Kidd took the Nets to consecutive NBA finals before finally winning in 2011 with the Mavs). Their veteran influence will be apparent from the get-go both on and off the court. My main concern, as if I haven’t made this clear yet, is that both of these guys are old. By the time the playoff push comes around, Camby will be 39 and Kidd will be 40 (in fact, their birthdays are a day apart in March). Camby is known as one of the most brittle players in the league, and Kidd endured many nagging injuries last season. Can they, as they push 40, keep themselves on the court? The reduced minutes will hopefully help them with this, but we won’t know until the season gets underway. The Knicks have a pretty solid team all-around. Carmelo Anthony, Stoudemire, Chandler and Lin are all solid, and they’ve been concentrating on bringing back some of the bench players that really sparked the team last season, as both JR Smith and Steve Novak recently re-signed as well. It will hopefully be an exciting year for New York hoops this season. The Knicks are adding pieces they think will make them a more complete team, and the Nets have made a pretty big splash in their own right (although they didn’t land their ultimate prize in Dwight Howard). My Celtics, meanwhile, have also made a lot of exciting moves, which I will try to preview for you sometime soon. *** NOTE: On Saturday, the Knicks shocked New York, and almost ruined my post, when they completed a sign-and-trade deal to get Raymond Felton from the Portland Trailblazers. The New York Daily News has reported that Felton and Kurt Thomas (keeping with the old guy theme, Thomas is 39) are heading to New York for Jared Jeffries and Dan Gadzuric. Other reports say the Knicks are including this year’s second round draft pick, Kostas Papanikolaou, and possibly also getting back another player. No official announcement has been made on what the Knicks will do with Lin, who signed an offer sheet with the Rockets this weekend, but we will certainly discuss it more when all of the dust settles on this deal.